Halifax regional council is trying to figure out what people should do with their dog’s poo. The environment and sustainability standing committee voted unanimously Thursday to request a staff report on pet waste disposal options. Halifax Regional Municipality’s current composting system does not allow any pet waste. Deputy Mayor Tony Mancini put the motion forth to help divert pet waste from landfills. Mancini mentioned a dog waste disposal program in Waterloo, Ont. as the best example for how the HRM could turn dog poop into energy. According to staff research, the Waterloo program turns dog waste into energy using a process called anaerobic digestion. The program places special dog waste bins throughout recreational areas. During the digestion process, the poop is broken down into biodegradable materials. The materials are then turned into heat or energy and can be used for fertilizer. Coun. Steve Streatch said he was unaware of the proper way to dispose of pet waste. Streatch’s concern about plastic bags is because regional council is currently considering a plastic bag ban for retailers. Waterloo’s program allows residents to dispose of their dog waste in plastic bags. 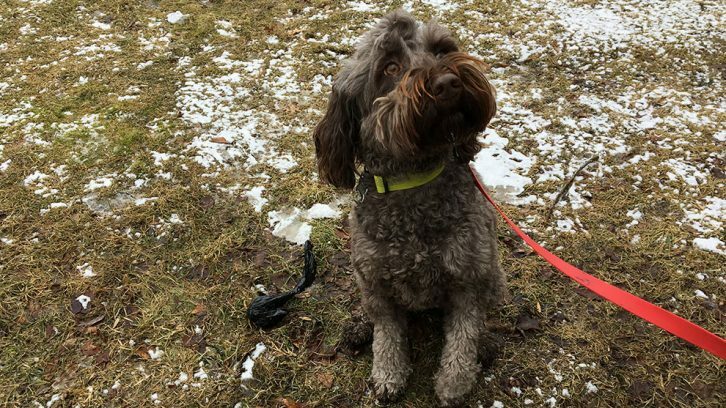 Halifax dog owner Jennie Colburn is concerned with how owners would pick up their dog’s poop. She often walks her labradoodle Rosie in Conrose Park. “So, you dispose of it properly, but then what are supposed to do? Even with a biodegradable bag, what’s the expectation? Will there be a separate collection for the bags? No one wants to touch it,” said Colburn. She also said she wouldn’t be surprised if the amount of dog waste on the ground increases because owners can’t use bags. Mancini said Waterloo’s program is strictly for dog waste, but he would like the program in Halifax to include all pet waste. “I would try to make (the program) broader because people have asked ‘what can I do about litter?’” said Mancini. Once the staff report is presented to the standing committee, the plan would be presented to regional council for approval. I collect our dog’s poop and dig a hole to bury it. I mark the place, and leave it for a year to decompose. Then, I plant a seedling tree in that place. Working well so far!